Together with other members of the group Jan Guzowski visited Prof. Roland Zengerle Lab at University of Freiburg, Germany. The agenda of the meeting included presentation by Prof. Zengerle as well as by other two group leaders in his lab, namely Dr. Peter Koltay and Dr. Felix von Stetten. 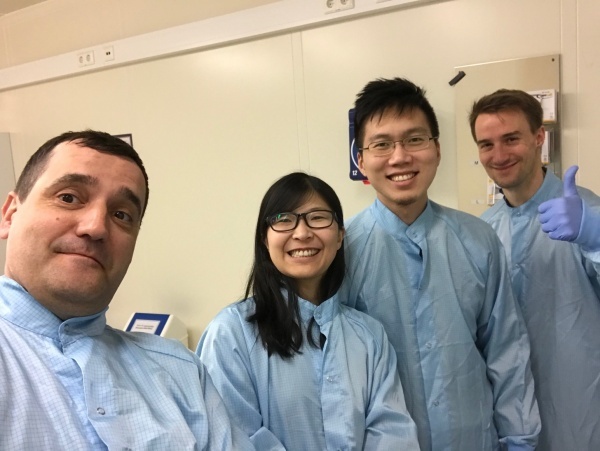 The purpose of the visit was to establish long-term collaboration with prof. Garstecki lab, in particular associated with co-advising by prof. Zengerle of two PhD students, Yu-Ting Kao and Yu-Kai Lai. Jan Guzowski’s contribution to the meeting was a presentation of previous research and brainstorming new ideas for the PhD theses. The hosts also provided the visitors with a guided tour around the lab as well as around the microfabrication facilities at Hahn-Schickard, a non-profit organization supporting industry in developing new products based on MEMS technologies.